Find all types of fine venues that offer wine making in NY. Enjoy wine making in New York at various areas throughout Upstate NY and other parts of the state. Make your Own Wine or Watch it Get Made! 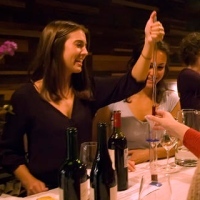 Have an absolute blast making your own wine at the Brooklyn Winery! If you're looking for places to make your own wine in New York, this winery gives you a chance to roll up your sleeves and throw yourself into the winemaking process, from crushing the grapes to bottling the wine. Choose from a series of winemaking packages that fit different budgets. Depending on which package you choose, you can take part in the entire winemaking process or sit back and watch the masters do the work. Brooklyn Winery also offers customizable packages for couples looking to get married, as well as corporate organizations. Have An Experience Of Making Quality Wine With City Winery! 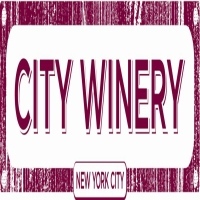 City Winery is simply a great place here in New York, where you can enjoy some world class wine and have a great time at the venue. The place offers a unique experience in wine making in which guests will have a firsthand experience of the process in making world class wine. You will be using the freshest handpicked grapes from the finest vineyards all over the country and abroad. Bring your friends along and enjoy the great experience of making wine here at City Winery. You will definitely love drinking the wine that you made and savor its taste. 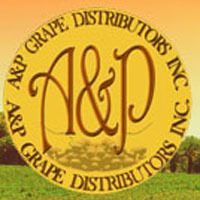 A & P Grape Distributors Inc. Learn To Make Home Made Wine With A & P Grape Distributors Inc! A & P Grape Distributors Inc. offers wine making classes for everyone that wants to learn the techniques and process of making wine. A great experience for everyone who wants to learn making wine, A & P Grape Distributors Inc. provides a hands on experience in which you will have to start from scratch in making your own home made wine. A perfect venue here in New York for making your own wine, the place simply has all the ingredients needed in making the perfect wine. Learn to make wine from the best in the wine making industry, call or email A & P Grape Distributors Inc. to make your reservations for their wine making classes. Make Your Award Winning Wine At Lakeland Winery! Make your own wine and learn from the expert wine makers themselves. Lakeland Winery provides great learning in the process of making a world class wine. With over 30 types of wine to choose from, you will definitely enjoy making your own favorite wine. 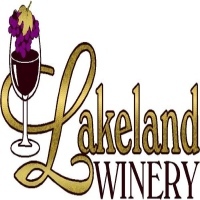 A great place for couples, Lakeland Winery offers a romantic experience in the wine making sessions, they will definitely enjoy and have a great time making their own wine. Come to New York's Lakeland Winery and make your own wine. It is a perfect place for friends or family to come and learn to make their own wine the easy way. Experience The Fun In Making Your Own Wine! Wine making is a fun hobby where everyone can learn the easy ways of making their own home made wine. Rochester Area Home Winemakers is a club of amateur and skilled wine makers of New York, they conduct monthly sessions in wine making. Learn from the experts in wine making and experience for yourself the fun and easy way of making wine. Visit the website of Rochester Area Home Winemakers and make your registration, you will definitely love making wine with them. Learn Wine Making From The Best In New York! Piazza Brothers Wine Room offers wine making sessions, where guests will enjoy the firsthand experience of making world class wines. It is a perfect place where couples or groups of friends can come and have a great time together making their own wine and enjoy each other's company. 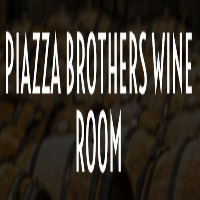 Let Piazza Brothers Wine Room be your place of choice in having fun and enjoyment with your friends. Contact them at their number or email them to make your reservations for their wine making session. Learn To Make World Class Wine From The Freshest Of Ingredients! Experience wine making here at Staten Island Winery, where you will learn and have a hands-on experience in making the perfect wine. 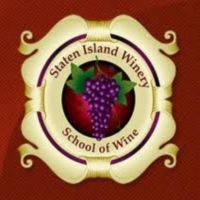 Staten Island Winery is a place for everyone who wants to learn the process of wine making, using the freshest of ingredients coming from the wine country of California. You will have a hands-on experience of making your own wine from scratch. Experience for yourself the fun of making your own wine. Bring your friends along for some amazing time in wine making here at New York's Staten Island Winery. Wine Making At Sannino Bella Vita Vineyard! Learn the ways of making wine and have hands on experience of making your own perfect wine. Sannino Bella Vita Vineyard offers an experience of wine making in which you will learn from the expert wine makers of New York. You will undergo a step by step process in wine making until you have reached the end part which is the bottling part. It is simply a wonderful experience of wine making here at Sannino Bella Vita Vineyard, you will definitely learn and enjoy it here. 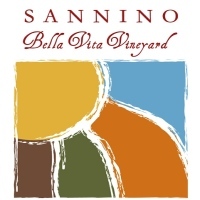 Come to Sannino Bella Vita Vineyard today and experience for yourself the fun and great learnings of wine making. 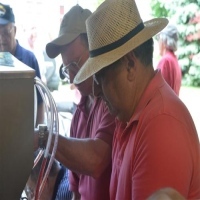 Make Your Own Wine At Westchester Amateur Winemakers Club! Learn wine making and experience for yourself the fun and rewarding experience of making your own wine. 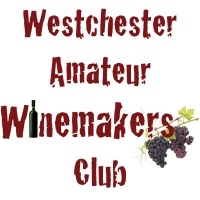 Westchester Amateur Winemakers Club is a group of amateur wine makers here in the greater area of New York. They provide sessions in wine making and everyone can join there wine making workshops. So join the club and experience for yourself the fun of making your own home made wine here at Westchester Amateur Winemakers Club. 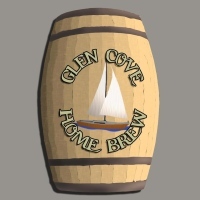 Make Homemade Wine With Glen Cove Home Brew! Glen Cove Home Brew offers to teach the techniques of making a quality homemade wine. You will undergo a step by step process in making wine and will have a better understanding of the processes of wine making. Wine making is a fun hobby where you enjoy and appreciate the ways and techniques of wine making. Here at Glen Cove you will learn a fun hobby of wine making and experience the rewarding efforts of wine making. A place here in New York where wine lovers come to learn the techniques of wine making, Glen Cove Home Brew opens its doors to everyone who wants to learn and appreciate wine making. Making A Great Wine With Syracuse Wineworks! 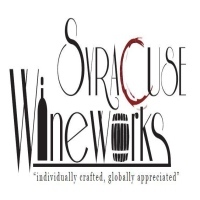 Come to Syracuse Wineworks and have a great time learning how to make a quality wine, learn from the expert wine makers of New York and experience the rewarding efforts of wine making. Bring your friends over and have a great time here at Syracuse Wineworks where learning is just as fun and exciting. Make Syracuse Wineworks be your place of choice in wine making and experience for yourself the joys of making your own wine.